This November it has been eight years since our first two kiddos were brought to our door and we plunged into the journey of parenting. We have certainly learned a lot in those eight years! We often get asked if we would do life any differently had we known back then what we know now. The answer is a most emphatic yes! Here Is What We Would Have Done Differently. I’m not sure if we would have gotten anymore information or that it would have been accurate information, but I wish we would have asked more questions before plunging in with rose-colored glasses. 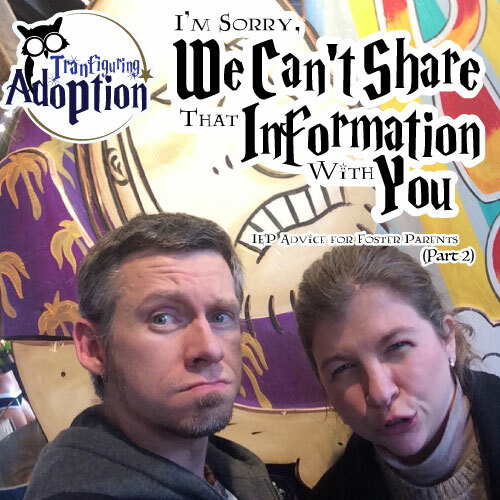 At times, we feel we would have done things differently had we known that we were taking on four children with some very intense, long-term needs, one of which is going to need lifelong care (which was not communicated to us). We often feel we would have done a much better job of helping them heal if we had fewer children to concentrate on and weren’t so busy just trying to keep them all safe and their basic needs met. There are so many strategies we have learned now, several years into our journey, that we didn’t know when our kids first moved in, and implementing them now would not have the same effect. We “should have” kept our family’s world small, creating a cocoon for bonding to take place in, and not introduced the children quickly to so many people and activities. We “should have” limited physical affection, gifts, and feeding to just us for a period of time. 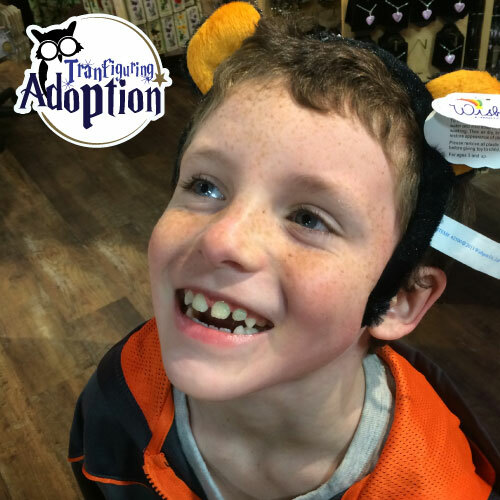 Foster-to-adopt parents are limited in the choices they can make and what they can do until adoption is finalized, and we advocated fiercely for our kids in some areas. But, there were areas in which we “should have” fought harder. The biggest example of this relates to school choice for one of our children. A year after placement, the agency’s education liaison—who’d never met the child, us, or the teachers before—looked at me in an Individualized Education Plan (IEP) meeting and said, “You’re not [x’s] mom. You can’t make this decision [regarding what school the child would attend].” I cried, mostly because I wanted to slap him and yell, asking “And who’s fault is that? After your agency hasn’t completed the adoption in 15 months!” The school social worker called later to check on me after what she declared the worst IEP meeting she had ever attended. I stopped fighting and later found out I had more rights than I knew. The child, who was thriving and growing in the school we had placed the child in the first year, flatlined at the school the agency chose and really has not progressed much at all in the 6 years since. I “should have” been more assertive. There are answers to our children’s challenges that we have just had answered in the last year or so, and looking back, I wish I would have asked for more evaluations earlier on so we could have implemented more interventions years ago. In the early days of parenting, we used typical, mainstream parenting strategies, such as time-outs, rewards, and punishment. These were so ineffective, and we didn’t learn until at least a couple years into our journey why typical parenting strategies do not work with traumatized children, nor did we know what strategies would work better. Reading The Connected Child by Dr. Purvis, Dr. Cross, and Wendy Sunshine and Adopting the Hurt Child by Keck and Kupecky revolutionized our parenting strategies and changed our family, and I try to revisit them as often as possible to ensure I don’t fall back into old habits. So I know that is a string of cliches, but making big deals out of small behaviors, taking on too many problematic behaviors at once, and expecting more age-appropriate behavior out of our children back when we didn’t know better definitely did not help bonding, attachment, and healing. We would have pretty well put aside homework battles, held kids that were “too big,” worked on big problems one by one, and so on had we known then what we know now. 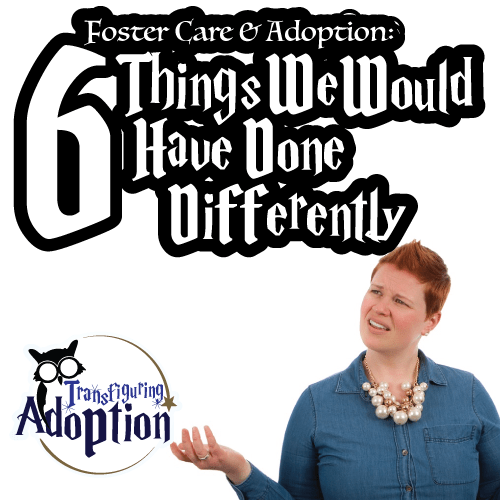 I’m not sure how our family’s life would look had we done these six things differently. I can imagine several different outcomes. I know we can only be responsible for what we know at any given time…I just sure wish I would have known more eight years ago. I hope others can learn these lessons before we did on their journeys. 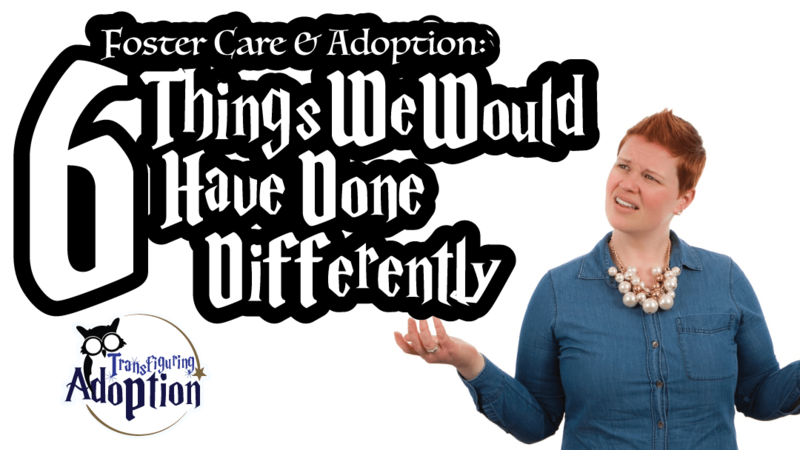 What would you have done differently early in your foster care or adoption journey had you known then what you know now? Share so others can learn from your experiences. “The adoption of a child is always a joyous moment in the life of a family. Some adoptions, though, present unique challenges. Welcoming these children into your family—and addressing their special needs—requires care, consideration, and compassion. This book comes from decades of experience working with foster and adoptive children around the world. It helps families learn how to connect with their children and deal with special needs. We highly recommend any materials by Dr. Purvis and Dr. Cross, including this book, DVDs, and conferences. Practical advice and strategies – The strategies in this book are easy to implement, though many take a change in mindset. Parents will likely have to work on one strategy at a time until they become habit, rather than trying to change everything at once. Simple scripts to use with your children when you are at your wit’s end – When we lecture our kids in our anger or frustration, they tune us out and stop learning. The Connected Child gives simple, short scripts for you to repeat that become like mantras with your children. I recently reread the book and put a note in my phone with all the scripts for me to reference. Opening up the note gives me a few seconds to breathe and regulate my own emotions, and then I have the words I need to deescalate the situation and get a kiddo back on the right track to succeed. Easy to understand explanations of the science behind the challenges facing foster and adoptive children – This book explains in every day language what sets the brains—learning, connecting, and behaving—of foster and adoptive children apart from those of their peers and gives parents insight on how to work around these differences. Explanations for why typical parenting and discipline techniques do not work – Foster and adoptive parenting is not parenting as usual, and our children do not respond to the same techniques that biological children do. 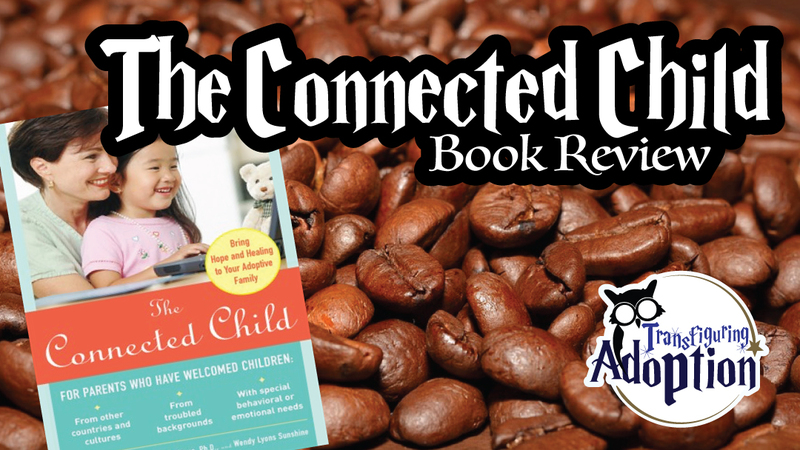 The Connected Child explains why and gives alternative strategies. Extensive table of contents makes it easy to quickly reference needed information – The table of contents not only lists chapter titles, but it also shows all the subheadings in each chapter, making it a great reference without having to thumb through page after page to find the topic you need in the moment. Self evaluations for parents to determine how they need to change their parenting – There are quizzes, checklists, and lists of reflection questions for parents to seriously examine their own parenting and attachment styles and how day-to-day interactions with their children are going. Share your thoughts and experiences with others here! What strategy from this book will you implement immediately? What strategy do you think will be most difficult to implement? What scripts do you find most helpful for your child? What was your result from the parenting quiz on p. 169? Is a checklist like the one of page 216 helpful for you to evaluate your parenting? Where do you think your child is on the levels of care on page 217? What did you learn about the role nurturing plays in your life from the questions on page 222?